Located in the heart of Soho, the client required a modern, luxury, low maintenance penthouse apartment to use as a London base. Total refurbishment and remodelling to create a luxurious, relaxing executive apartment. The custom interiors and minimalist design take advantage of every inch of space and give the property a blend of warmth and modernism. The large, high-specification, modern living/dining room opens to a courtyard with dramatic views across Soho. The ‘slot’ fire place acts as a focus point, with its simple, elegant design and incredible warmth. 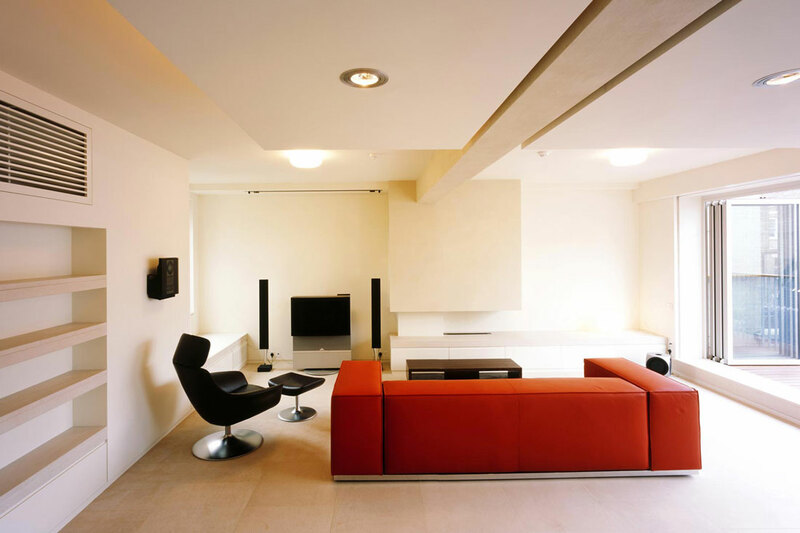 Interior design introduces warm materials and striking furniture to soften the minimalist architecture. Physical comfort is achieved through use of high-tech environmental controls, air-conditioning and under-floor heating. 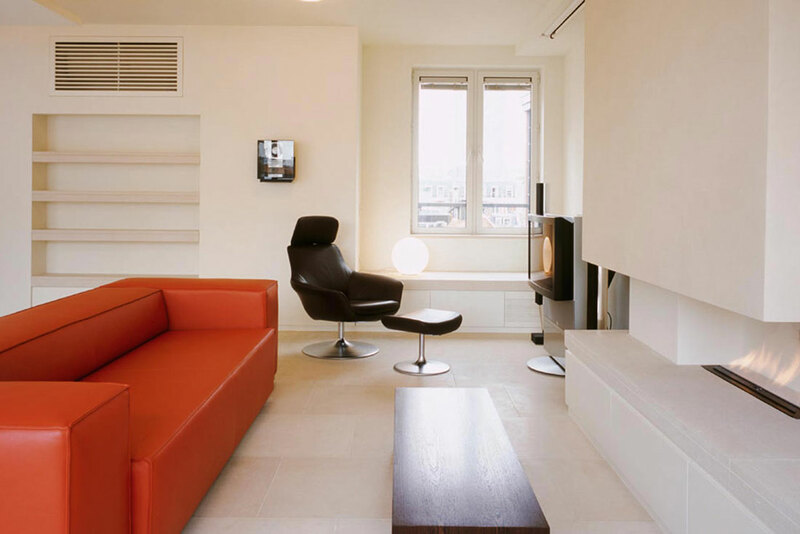 State-of-the art audio-visual systems and technology are fully integrated into the apartment. A round skylight floods the core of the apartment with natural light. 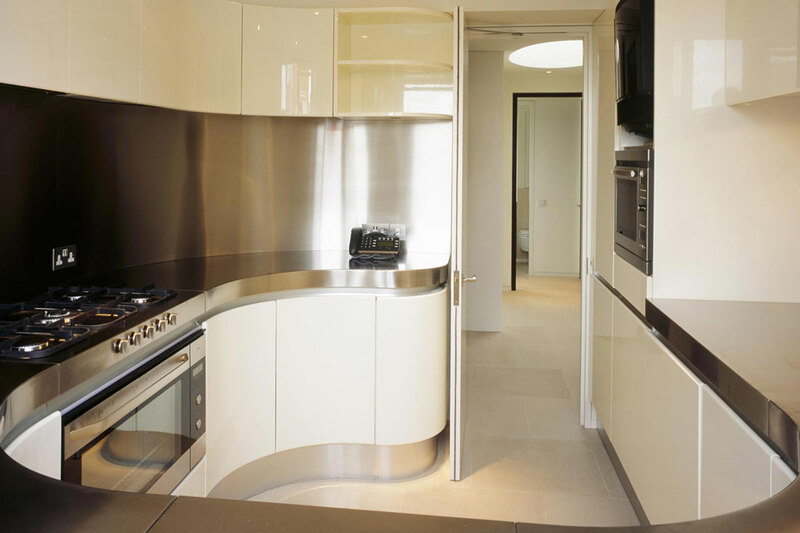 The fully equipped kitchen is sleek with curved stainless steel worktop and units.